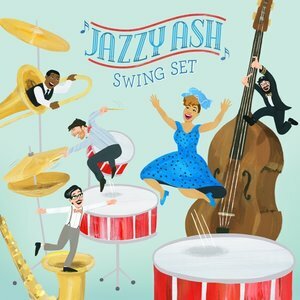 Jazzy Ash plans ‘Swing Set’ album and tour this summer‏! Featuring Fresh Versions of African American Rhymes and Songs out July 21st! It is not often that I say that I love an artist’s FOURTH album the best, but Jazzy Ash exceeded all my expectations with her new album ‘Swing Set’. We may have grown up from different areas and backgrounds (her in New Orleans and me in SE Ohio Appalachia), but we apparently had a HUGE thing in common. All of her songs on this album took me back to playing on the playground with my girlfriends at recess. See, I was really into jumping rope. It didn’t come easily to me, the whole double dutch jumping, but I’d practice and practice and the rhythm of the songs would help my body keep the beat. The jump rope songs were almost as important as the act of double dutch itself and when I hear ‘Miss Mary Mack’ or ‘Teddy Bear, Teddy Bear’, it’s like I’m stepping back onto the hard pavement of M&M Elementary school where the older kids were trying to break dance on cardboard and I was trying to learn to double skip. Check out Jazzy Ash’s newly released video for ‘Hambone’ HERE! Over the past five years, Jazzy Ash has built a reputation as one of the top touring family artist in the nation. Her music has been featured by the Los Angeles Times and NPR and continues to top radio charts. Jazzy Ash and Leaping Lizards have performed all over this country in many venues. This summer, her ‘Swing Set’ tour includes Wolf Trap Theater-in-the-Woods near D.C. to The Broad Theater in Los Angeles. Visit jazzyash.com for the latest tour date and bust out your old jump rope, because I guarantee you will want it! About Jazzy Ash: Jazzy Ash is also known as Ashli Christoval, who grew up with a mom from New Orleans and a dad from Trinidad. Music infused her home life every day, from jazz to Caribbean rhythms to the lively children’s music which was playing all the time for the kids in her mother’s home day care. She often spent summers in New Orleans with her aunts and grandparents, enjoying the culture and music that permeated their West Bank neighborhood. With a background in musical theater and early childhood education, she created a Leaping Lizards music education program. 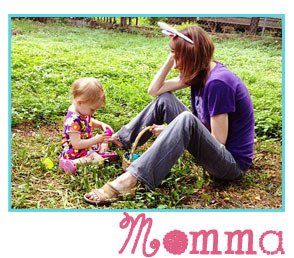 This mom to two young sons lives in Orange County, California. Go! See! Join! Jazzy Ash is planning a summer full of shows to celebrate the release of a new album, which features songs from the African American tradition, at least 90 years old! Follow Jazzy Ash on Facebook.